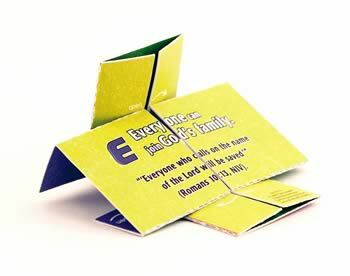 An E-LIFE Kid is one who makes new friendships to share Jesus with others. E-LIFE Kids also mentor other kids to help them grow spiritually. The goal of the E-LIFE Kid is to share the E-LIFE Plan (plan of salvation) with other kids at school and in the community and to disciple them in their spiritual walk with Jesus. But before an E-LIFE Kid can share about Jesus, he or she must first learn to build relationships by showing friendship and kindness to every schoolmate and neighbor. As the E-LIFE Kid learns how to live out the commitments, you can encourage them along the way and monitor their progress taking place at their schools and communities. E-LIFE Kids should memorize the E-LIFE Plan Scriptures and learn how to share the E-LIFE Plan with other kids as the Holy Spirit provides opportunities. Theme Activities provide E-LIFE Kids a learning lab at church where they can learn how to be E-LIFE Kids, how to build relationships with others, and how to share their faith with other schoolmates and kids in their community. These are the ingredients of being an E-LIFE Kid and living out the Great Commission. A completed and parent/guardian-signed Parent/Guardian Publications Release Form to the National E-LIFE Office. Have a personal relationship with Christ Jesus. Memorize the E-LIFE Plan and cite it to their E-LIFE Coach or parent. Successfully demonstrate how to use the E-LIFE Witnessing Tool while citing the E-LIFE Plan. Submit a completed and parent/guardian-signed Parent/Guardian Publications Release Form to the National E-LIFE Office.